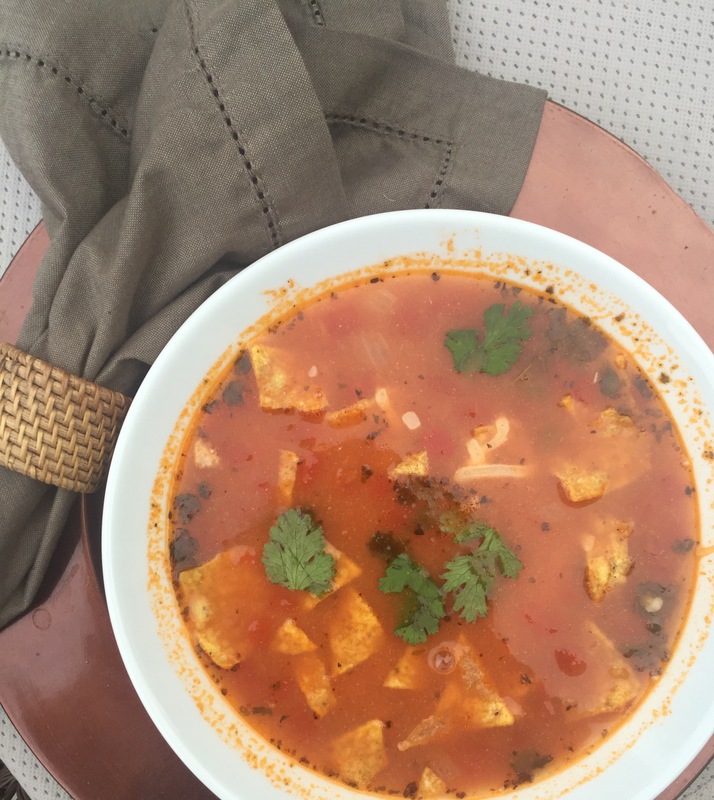 Last Sunday, we finally got some beautiful cool Fall weather here in Austin, so, of course, I had to make one of my favorite super simple soup recipes: Chicken Tortilla Soup. This recipe is filled with protein, is Paleo compliant and the broth is amazing for supporting your bones, ligaments, joints and skin, as well as providing lots of valuable vitamins and minerals. It’s a perfect quick & healthy meal that your family will love! Dice onion and garlic and put in large soup pot with coconut oil. Saute garlic & onion on medium heat until onion is soft. Garnish with a squeeze of lime, freshly grated raw cheddar cheese and some salty tortilla chip crumbles. 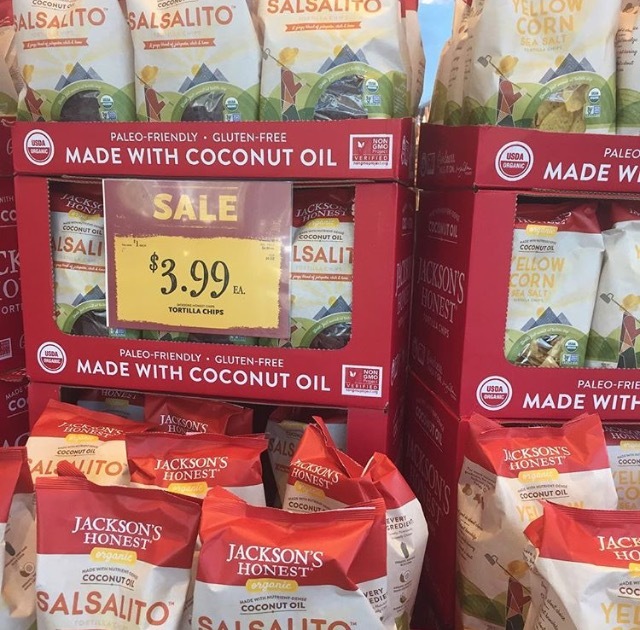 When it comes to tortilla chips, there is only one brand that I can recommend… I am beyond excited about Jackson’s Honest NEW tortilla chips cooked in coconut oil. They are the only brand that makes tortilla chips with coconut oil; all the others use super toxic vegetable oils. Plus, they are organic, made with non-GMO corn and gluten-free. I found them at my local Whole Foods – you must pick up a bag!